On October 3, 2016, Amazon updated its product review policy to ban incentivized product reviews . In other words, sellers are no longer permitted to offer free or discounted products to customers and ask for product reviews in return. Since this has been the strategy adopted by many private label sellers in recent years to boost product rankings, the policy change caused quite a panic among sellers as well as 3rd party review service providers. Let’s get down to the basics. What was changed? Sellers can still offer discounts and promotions, but the only service approved for incentivized reviews are facilitated by (you guessed it!) the Amazon Vine program. This service is only available to 1st party Amazon Vendors and requires a fee. The Vine program might not be ideal for private label sellers who are just starting out on their Amazon journey. There is an exception to the ban — Amazon will continue to allow authors and publishers to give away free or discounted copies of their books, but they cannot require a review in exchange for the book, or attempt to influence the reviews . What’s Amazon’s rationale behind the policy change? 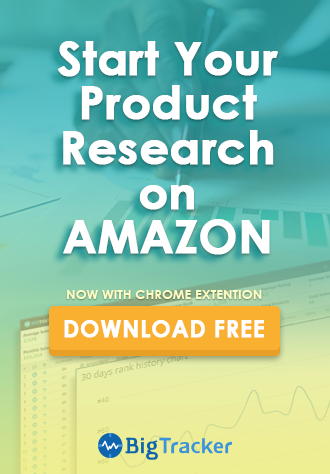 Consumers that shop on Amazon will also use it to check product reviews before making a purchase decision. Amazon prides itself on its customer service and trustworthy reputation. Thus, in recent months, Amazon has begun to crack down on incentivized reviews – believing customers who leave such reviews are more inclined to write biased reviews that favor the product, thus affecting the product rating. Not only has Amazon begun to sue a massive number of reviewers for what they consider to be fake reviews, as of late September, Amazon increased the minimum spending amount from US$5 to US$50 for customers to be eligible to post reviews. Although the spending requirement may hinder new customers from leaving reviews initially, once the account holder has accumulated spendings of more than $50, they would be eligible to write reviews. What about old reviews that had a discount/free disclaimer? 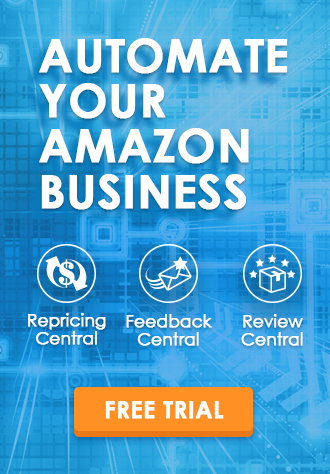 According to an article by TechCrunch, an Amazon spokesperson states that “reviews that were received prior to the policy change are only being retroactively removed if they are excessive, and don’t comply with prior policy” . The language in the statement is vague and difficult to define by anyone other than Amazon, but, many sellers and reviewers have started to notice that previous reviews which include a disclaimer have been removed by Amazon. The policy change mostly affects private label sellers only. For some, this has had a major impact and may be tougher now for sellers looking to get their products on the platform, build a reputation, and have high sales velocity. For others, they are happy to see that Amazon is taking steps to clean up ‘fake, manipulated, or biased’ reviews so that customers will be able to separate good quality products from bad ones. However, this change could in fact make it even harder for consumers to distinguish genuine reviews from fake ones now that consumers are no longer required to include a disclaimer. The latest development in Amazon’s efforts to reinstate review integrity on its platform took place on October 27, when Amazon introduced the Early Reviewer Program . The program is aimed at helping products that have little or no reviews to acquire early reviews, so buyers have some authentic product reviews to rely on for making purchase decisions. The essence of the program is that instead of offering a discount in exchange for reviews, it asks customers who have already purchased products that are participating in this program to write honest, authentic reviews for a small reward. To participate, sellers can select which listings they want to partake in this program. However, this is currently in limited beta mode and available only to selected sellers . On the consumer side, participation in this program is by invitation only. Amazon will invite customers who have already purchased the products and have no history of writing dishonest or incentivized reviews to provide authentic opinion on the products. In return, these customers will get paid $1-3 in Amazon gift cards. Reviews which were obtained through the Early Reviewer Program will have an orange badge identifying them as “Early Reviewer Rewards” reviews. In summary, Amazon’s ban on incentivized review was a bold and shocking move, and certainly impacts many sellers on the site. What other measures will Amazon take in the future, we will have to wait and see. In the meantime, what sellers can do is continue to source and manufacture good quality products to sell, focus their efforts on optimizing product detail pages, implement various keywords and PPC, hold promotions using Lightning Deals or Giveaways (just don’t ask for reviews), provide excellent customer service, and generate reviews organically. Sellers should also consider using feedback software to encourage buyers to leave seller feedback and product reviews. Check out our new Feedback Central features and see how we help your business! Is Vendor Central a good choice?